About 300 million years ago, most of the land mass on Earth was centered over the South Pole in the super continent of Gondwana. This resulted in massive glaciers. When the glaciers advanced, the sea level lowered, resulting in near-ocean sand dunes which formed cliffs in the present-day Supai Formation. When the glaciers retreated, the sea level rose and formed mud flats, resulting in the sloping shale areas of the Supai. In the Supai we find fossils of ferns, mud cracks, and amphibian tracks. 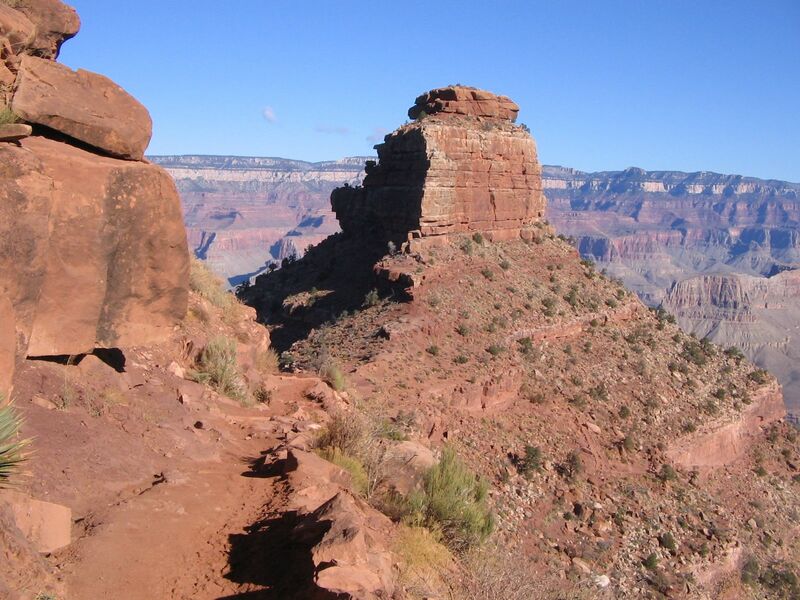 There are four members of the Supai: the Whatahomigi, the Manakacha, the Wescogame, and the Esplanade. If you wish to impress your friends remember these with the mnemonic: What a Man Wes Es, Wesley being one of the geologists who first described these members.